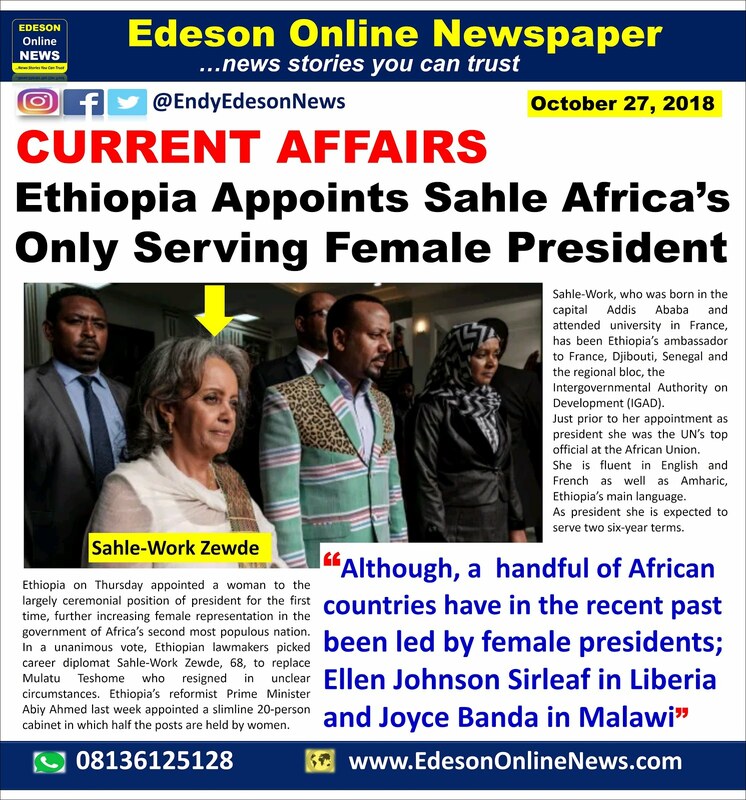 Ethiopia on Thursday appointed a woman to the largely ceremonial position of president for the first time, further increasing female representation in the government of Africa’s second most populous nation. and women, it can sustain its momentum and realise a prosperous Ethiopia free of religious, ethnic and gender discrimination,” Sahle-Work said Thursday. when will woman lead Nigeria ? when will a woman rule Nigeria? That would happen if only the TWO BIG PARTIES ADOPT FEMALE PRESIDENTIAL ASPIRANTS. How will they? They are too selfish for that.